The Slovaks are a nation and West Slavic ethnic group native to Slovakia who share a common ancestry, culture, history and speak the Slovak language. The Chicago Blackhawks are a professional ice hockey team based in Chicago, Illinois. They are members of the Central Division of the Western Conference of the National Hockey League (NHL). They have won six Stanley Cup championships since their founding in 1926. The Blackhawks are one of the "Original Six" NHL teams along with the Detroit Red Wings, Montreal Canadiens, Toronto Maple Leafs, Boston Bruins and New York Rangers. Since 1994, the club's home rink is the United Center, which they share with the National Basketball Association's Chicago Bulls. The club had previously played for 65 years at Chicago Stadium. Sokolče is a former village which was situated in the Liptov region of Slovakia. The village was inundated by the reservoir Liptovská Mara in 1975. St. Catharines is the largest city in Canada's Niagara Region and the sixth largest urban area in Ontario, with 96.13 square kilometres of land and 133,113 residents in 2016. It lies in Southern Ontario, 51 kilometres (32 mi) south of Toronto across Lake Ontario, and is 19 kilometres (12 mi) inland from the international boundary with the United States along the Niagara River. It is the northern entrance of the Welland Canal. Residents of St. Catharines are known as St. Cathariners. St. Catharines carries the official nickname "The Garden City" due to its 1,000 acres (4 km2) of parks, gardens and trails. 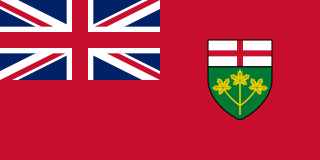 Ontario is one of the 13 provinces and territories of Canada and is located in east-central Canada. It is Canada's most populous province accounting for 38.3 percent of the country's population, and is the second-largest province in total area. Ontario is fourth-largest in total area when the territories of the Northwest Territories and Nunavut are included. It is home to the nation's capital city, Ottawa, and the nation's most populous city, Toronto, which is also Ontario's provincial capital. The St. Catharines Teepees were a junior ice hockey team in the Ontario Hockey Association from 1947 to 1962. The team was based in St. Catharines, Ontario, Canada. The Ontario Hockey Association (OHA) is the governing body for the majority of junior and senior level ice hockey teams in the Province of Ontario. The OHA is sanctioned by the Ontario Hockey Federation along with the Northern Ontario Hockey Association. Other Ontario sanctioning bodies along with the OHF include the Hockey Eastern Ontario and Hockey Northwestern Ontario. The OHA control 3 tiers of junior hockey; the "Tier 2 Junior "A", Junior "B", Junior "C", and one senior hockey league, Allan Cup Hockey. The 1959–60 NHL season was the 43rd season of the National Hockey League. The Montreal Canadiens were the Stanley Cup winners as they defeated the Toronto Maple Leafs four games to none for their fifth straight Stanley Cup. Alvin Brian "Ab" McDonald was a Canadian ice hockey forward. Douglas Allen "Diesel" Mohns was a professional ice hockey player who played 22 seasons in the National Hockey League from 1953–54 until 1974–75. Mohns twice won the most coveted prize in junior hockey, the Memorial Cup. He played on the 1951 and 1953 Barrie Flyers teams. Robert Marvin Hull, OC is a Canadian former ice hockey player who is regarded as one of the greatest players of all time. His blonde hair, legendary skating speed, end to end rushes, and the ability to shoot the puck at very high velocity, were all a part of the player known as "The Golden Jet". His talents were such that one or two opposing players were often assigned just to shadow him—a tribute to his explosiveness. A penalty in ice hockey is a punishment for an infringement of the rules. Most penalties are enforced by sending the offending player to a penalty box for a set number of minutes. During the penalty the player may not participate in play. Penalties are called and enforced by the referee, or in some cases, the linesman. The offending team may not replace the player on the ice, leaving them short-handed as opposed to full strength. When the opposing team is said to be on a power play, they will have one more player on the ice than the short-handed team. The short-handed team is said to be "on the penalty kill" until the penalty expires and the penalized player returns to play. While standards vary somewhat between leagues, most leagues recognize several common varieties of penalties, as well as common infractions. The Lady Byng Memorial Trophy, formerly known as the Lady Byng Trophy, is presented each year to the National Hockey League "player adjudged to have exhibited the best type of sportsmanship and gentlemanly conduct combined with a high standard of playing ability". The Lady Byng Memorial Trophy has been awarded 88 times to 53 different players since it was first awarded in 1925. The original trophy was donated to the league by Lady Byng of Vimy, then–viceregal consort of Canada. The American Hearing Impaired Hockey Association (AHIHA) was established in 1973 by Chicago Blackhawks Stan Mikita, and a local business man by the name of Irv Tiahnybik, after Irv discovered the difficulties his hard-of-hearing son was having with his hearing teammates. The hockey camp grew quickly, and drew deaf and hard-of-hearing ice hockey players from all over the country. Special Olympics is the world's largest sports organization for children and adults with intellectual disabilities and physical disabilities, providing year-round training and competitions to 5 million athletes and Unified Sports partners in 172 countries. Special Olympics competitions are held every day, all around the world—including local, national and regional competitions, adding up to more than 100,000 events a year. Like the International Paralympic Committee, the Special Olympics organization is recognized by the International Olympic Committee; however, unlike the Paralympic Games, Special Olympics World Games are not held in the same year or in conjunction with the Olympic Games. Mikita's later years were marred by chronic back injuries, leading to his retirement during the 1979–80 season. At that time, only Gordie Howe and Phil Esposito had scored more points in the NHL, and just six players had appeared in more games. Mikita was inducted into the Hockey Hall of Fame in 1983,  and into the Slovak Hockey Hall of Fame in 2002. Mikita provided the foreword to the children's book My Man Stan by Tim Wendel. Mikita is featured as a main character in the book. The Art Ross Trophy is awarded to the National Hockey League (NHL) player who leads the league in points at the end of the regular season. It was presented to the league by former player, General Manager, and head coach Art Ross. The trophy has been awarded 70 times to 29 players since its introduction in the 1947–48 NHL season. Ross is also known for his design of the official NHL puck, with slightly bevelled edges for better control. Peter Bondra is a Soviet-born Slovak former professional ice hockey player. He was the general manager of the Slovakia national team from 2007 to 2011. A two-time 50-goal scorer, Bondra became the 37th player in National Hockey League (NHL) history to score 500 NHL goals. Peter Šťastný, also known colloquially as "Peter the Great" and "Stosh", is a retired Slovak-Canadian professional ice hockey player who played in the National Hockey League (NHL) from 1980 to 1995. Stastny is the second highest scorer of the 1980s after Wayne Gretzky. During his time with the Quebec Nordiques, Stastny became a Canadian citizen. From 2004 to 2014, he served as a Member of the European Parliament for Slovakia. During his NHL career, he played with the Quebec Nordiques, New Jersey Devils, and St. Louis Blues. Anthony James "Tony O" Esposito is a retired Canadian-American professional ice hockey goaltender, who played in the National Hockey League, most notably for the Chicago Black Hawks. He was one of the pioneers of the now popular butterfly style. Tony is the younger brother of Phil Esposito, a centre. Both brothers had notable careers and are enshrined in the Hockey Hall of Fame. In 2017 Esposito was named one of the '100 Greatest NHL Players' in history. Denis Joseph Savard is a Canadian former professional ice hockey player. He played in the National Hockey League (NHL) from 1980 to 1997, and was elected to the Hockey Hall of Fame in 2000. In 2017 Savard was named one of the '100 Greatest NHL Players' in history. He has also served as head coach of the Chicago Blackhawks of the NHL, and now serves as an ambassador for the Blackhawks' organization. Savard was born in Temiscaming, Quebec, but grew up in Montreal. Norman Victor Alexander Ullman is a former ice hockey forward. Joseph Albert Pierre Paul Pilote was a Canadian professional ice hockey defenceman and perennial All-Star, most notably for the Chicago Black Hawks of the National Hockey League (NHL), for which he served as team captain for seven seasons. The 1966–67 NHL season was the 50th season of the National Hockey League. Six teams each played 70 games. Since the 1942–43 season, there had only been six teams in the NHL, but this was to be the last season of the Original Six as six more teams were added for the 1967–68 season. This season saw the debut of one of the greatest players in hockey history, defenceman Bobby Orr of the Boston Bruins. The Toronto Maple Leafs won the Stanley Cup over the Montreal Canadiens; this would be the Leafs' most recent Stanley Cup, as of 2018. The 1961 Stanley Cup Finals was contested by the Detroit Red Wings and the Chicago Black Hawks. Chicago was making its first Finals appearance since 1944, and Detroit its first appearance since 1956; both had lost to the Montreal Canadiens in those previous appearances. The Blackhawks would win the best-of-seven series four games to two to win their third Stanley Cup, their first since 1938. However, this proved to be the last time Chicago won the Cup until 2010, a 49-year drought. This was the only title not won by the Canadiens, Red Wings or Toronto Maple Leafs during the Original Six era. The 1990–91 Chicago Blackhawks season was the team's 65th season. After making the Conference Finals two years in a row, the Blackhawks were hosts for one of the most emotional NHL All-Star Game games in history, and finished with 106 points winning the NHL Presidents' Trophy for best record in the league. The Hawks received terrific performances from Steve Larmer, Jeremy Roenick, Chris Chelios, Dirk Graham and rookie Ed Belfour. Hockey it seemed was back in Chicago, and dreams of the first Stanley Cup since Hull and Mikita were rampant. However the playoffs matched the Hawks with their old rivals, the Minnesota North Stars, who crushed their dreams with a defeat in the first round of the 1991 Stanley Cup Playoffs - four games to two. 90-91 represented the peak of the Blackhawks between the Hull/Mikita years and the Toews/Kane years, and is probably the best Blackhawks team never to win the Stanley Cup. The 1967–68 Chicago Black Hawks season was the Hawks' 42nd season in the NHL. The team was coming off their best regular season in team history. In 1966–67, Chicago finished in first place for the first time in club history with a franchise record 94 points. The Black Hawks were then upset by the Toronto Maple Leafs in six games in the NHL semi-finals. The 1963–64 Chicago Black Hawks season was the Hawks' 38th season in the NHL, and the club was coming off a second-place finish in 1962–63, as Chicago won a team record 32 games and also set a club record with 81 points. The Hawks would then be defeated by the Detroit Red Wings in the NHL-semi finals, making it the first time since 1960 that Chicago did not play in the Stanley Cup finals. The 1962–63 Chicago Black Hawks season was the Hawks' 37th season in the NHL, and the club was coming off a third-place finish for the fourth consecutive season in 1961–62, as Chicago won a team record 31 games and tied a club record with 75 points. The Hawks would go on and upset the heavily favored Montreal Canadiens in the NHL semi-finals for the second straight season, however, the Black Hawks would lose to the Toronto Maple Leafs in the 1962 Stanley Cup Finals. The 1966–67 Chicago Black Hawks season was the Hawks' 41st season in the NHL, and the team was coming off a team record 37 victories in the 1965–66 season, as they finished in second place in the NHL. The Black Hawks then were upset by the fourth place Detroit Red Wings in the NHL semi-finals, losing in six games. The 1968–69 Chicago Black Hawks season was the Hawks' 43rd season in the NHL, and the club was coming off a 4th-place finish in the East Division in 1967–68, as they earned 80 points, and qualified for the post-season for the tenth consecutive season. The Black Hawks then upset the second place New York Rangers in the NHL quarter-finals, before falling to the Montreal Canadiens in five games in the NHL semi-finals. But this season, the Blackhawks missed the postseason for the last time until 1998. The 1975–76 Chicago Black Hawks season was the Hawks' 50th season in the NHL. During the previous season, the club had a 37–35–8 record, earning 82 points, and finished in third place in the Smythe Division. Then, the Black Hawks upset the heavily favored Boston Bruins in the NHL preliminary series before losing to the Buffalo Sabres in the NHL quarter-finals. ↑ "Stanley Mikita Obituary - Hinsdale, IL | Chicago Tribune". ↑ Diamond, Dan (1998). Total Hockey. Toronto: Total Sports Publishing. p. 1794. ISBN 978-0-8362-7114-0. ↑ Fischler, Stan; Fischler, Shirley (1999). 20th Century Hockey Chronicle. Lincolnwood, IL: Publications International, Ltd. p. 277. ISBN 978-0-7853-3504-7. ↑ Verdi, Bob (January 1, 2017). "Stan Mikita: 100 Greatest NHL Players". NHL.com. 1 2 3 4 5 6 7 8 9 Prewitt, Alex (January 24, 2017). "Stan Mikita's legacy and grace endure even as dementia afflicts the Blackhawks legend". Sports Illustrated. Retrieved January 27, 2017. 1 2 3 4 "Legends of Hockey – Stan Mikita". Legends of Hockey. Retrieved March 12, 2010. ↑ "1961 NHL Stanley Cup Playoffs Summary". Hockey-Reference.com. Retrieved August 7, 2018. ↑ "1966-67 NHL Summary". Hockey-Reference.com. Retrieved August 7, 2018. ↑ "1968-69 NHL Leaders". Hockey-Reference.com. Retrieved August 7, 2018. ↑ "NHL & WHA Single Season Leaders and Records for Points". Hockey-Reference.com. Retrieved August 7, 2018. ↑ "2015-16 NHL Leaders". Hockey-Reference.com. Retrieved August 7, 2018. ↑ Mikita, Stan (1970). I Play to Win. New York: Pocket Books. p. 76. Retrieved August 8, 2018. ↑ "The shifts that changed the game: The curved blade". Arctic Ice Hockey. Retrieved August 7, 2018. ↑ "Who made the first curved hockey stick?". www.prostockhockey.com. Retrieved August 7, 2018. 1 2 "Mikita, Stan -- Honoured Player -- Legends of Hockey". www.hhof.com. Retrieved August 7, 2018. ↑ Markus, Robert (December 14, 1968). "Stan Mikita Is on the Go All the Time". Chicago Tribune . ↑ "My Man Stan". Sun Bear Press. May 12, 2008. Retrieved May 21, 2008. ↑ "Hall of Famer Named Ambassador". November 13, 2008. Retrieved March 12, 2010. ↑ "Hull-Mikita: Unveiling of statues moving moment for Bobby Hull and Stan Mikita". tribunedigital-chicagotribune. Retrieved August 7, 2018. ↑ "NHL Points Leaders – All-Time – National Hockey League – ESPN". ESPN.com. Retrieved August 7, 2018. ↑ "Most NHL Games Played with Single Franchise". Hockey-Reference.com. Retrieved August 7, 2018. ↑ "Kings Dominion welcomes world of Wayne and Garth". tribunedigital-baltimoresun. Retrieved August 7, 2018. ↑ "Carowinds Zone > Carowinds History > Paramount Parks". www.carowindszone.net. Retrieved August 7, 2018. ↑ "Chicago – Chicago : News : Politics : Things To Do : Sports". Chicago Sun-Times. June 16, 2012. ↑ "Blackhawks legend Stan Mikita facing 'serious health issues'". ↑ Kuc, Chris (June 15, 2015). "For Stan Mikita, all the Blackhawks memories are gone". Chicago Tribune. Retrieved June 15, 2015. ↑ "Blackhawks legend, Hall of Famer Mikita dies". ESPN.com. Retrieved August 7, 2018. 1 2 3 Roumeliotis, Charlie (August 7, 2018). "Blackhawks all-time leading scorer Stan Mikita dies at 78". NBC Sports. Retrieved August 7, 2018. ↑ "Stan Mikita hockey statistics and profile". HockeyDB. Retrieved August 7, 2018. ↑ "Stan Mikita Stats". Hockey Reference. Retrieved August 8, 2018. 1 2 3 4 5 6 "Stan Mikita career stats". eurohockey.net. March 12, 2010. Retrieved March 12, 2010. ↑ "NHL All-Star Game History & Statistics". Hockey Reference. Sports Reference LLC. Retrieved August 8, 2018. ↑ Kay, Jason (April 2, 2015). "The Top 100 NHL Players of All-Time, Throwback Style". The Hockey News . Retrieved August 7, 2018. ↑ "ZIMNÝ ŠTADIÓN NÁM MÔŽU ZÁVIDIEŤ (+FOTO)". Ružomberský hlas (in Slovak). September 15, 2016. Retrieved August 8, 2018. Wikimedia Commons has media related to Stan Mikita .